Alphacool has this week unveiled new additions to its range of LED lighting which has been specifically designed for custom PC cooling solutions and gaming rigs, providing easy way to add extra lighting safely to your liquid cooling system. There are Two sizes of Aurora LED Ring available, one for tube reservoirs with a diameter of 50mm or 60mm. 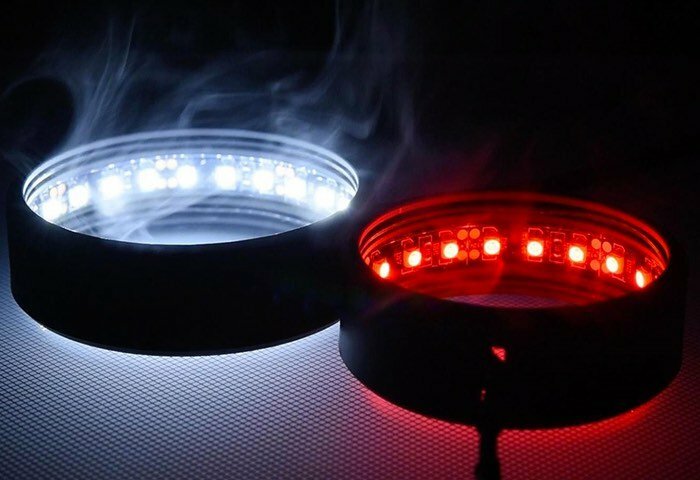 The 50mm version is equipped with 18 LEDs, while the larger 60mm version is equipped with 24 LEDs. Check out the video below to learn more about the inspiration and applications of the new Aurora LED Ring which is sure to add a little extra bling to custom PC gaming rig. For more information on the Alphacool Aurora LED Rings anti-purchase jump over to the official Alphacool website.